APAP is an abbreviation referring to acetaminophen, a very common pain-relieving and fever-reducing drug. It's also an acronym for Automatic Positive Airway Pressure, a medical device used to treat sleep apnea. Picking up my APAP machine. Hopefully this will allow me to get some good sleep for once. 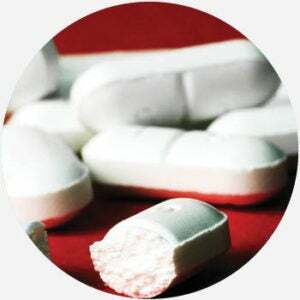 Acetaminophen (APAP) is the most commonly used drug for the treatment of pain and fever around the world. Oh boy, a larger dose of hydrocodone without that annoying APAP component. Druggies around here will have a field day. Where does APAP come from? APAP is short for N-acetyl-para-aminophenol, better known as acetaminophen or paracetamol. The abbreviation is taken from the initials of the major chemical elements, as shown here in bold: N-acetyl-para-aminophenol. The substance belongs to a group of pain- and fever-reducing medicines called analgesics. First discovered in 1877, APAP became widely used as an over-the-counter drug to treat everyday headaches, colds, flus, and allergies in 1955 under the brand Tylenol. Since it is such a common medicine, APAP does run the risk for abuse, overdose, and liver injury if not used as directed. As an acronym Automatic Positive Airway Pressure, APAP refers to non-invasive medical devices worn like a mask for sleep apnea patients. The devices help ensure the throat doesn’t close up during sleep, and unlike other sleep apnea therapies, can automatically adjust its pressure levels even as a patient shifts in their sleep throughout the night. While acetaminophen is a household word (and substance), the drug APAP typically appears in more specialized contexts, used among chemists, pharmacists, and doctors. Everyday people may encounter APAP in doctors’ offices, pharmacies, or hospitals if drugs using the substance are being administered or prescribed. Also used in the specialized contexts of sleep medicine and therapy, APAP is used familiarly among many people who suffer from sleep apnea.